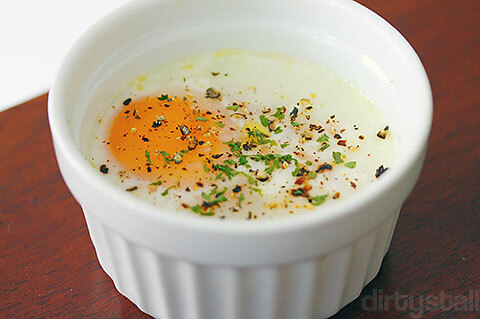 The title name for this post is actually the French name for this traditional dish – eggs en cocotte. The cocotte referring to ramekins like the ones shown below. 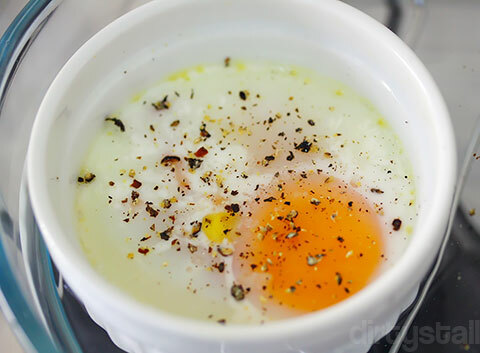 This is a common breakfast dish and can be spiced up with any sort of ingredient that you want to add, from herbs to smoked salmon. In this case, I’m using smoked bacon. 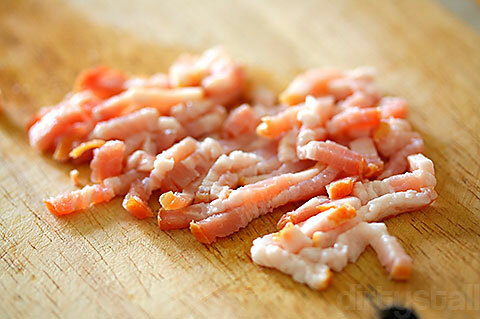 Here’s my smoked bacon, sliced into thin strips. At this point you can pre-heat the oven at about 200 °C. 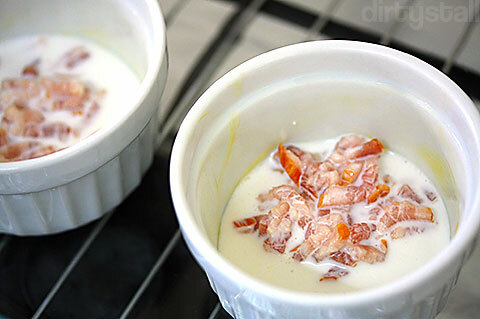 Now I butter the ramekin insides and put the bacon in. Pour in 1 tbsp of cream. You can use any sort of cream you want, like double cream, whipped cream, sour cream, crème fraîche. 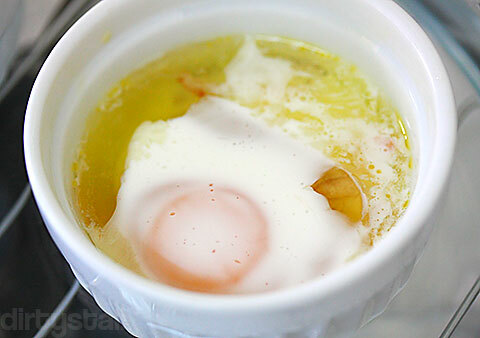 Crack in the egg, careful not to break the yolk. Pour another 1 tbsp of the same cream used earlier. 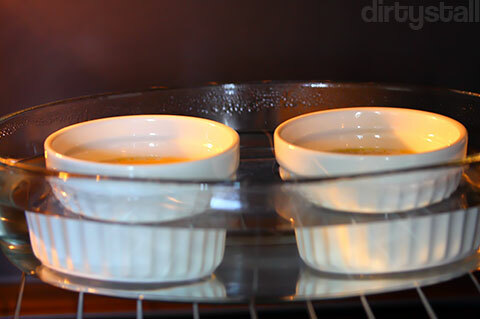 Place the ramekins in a large ovenproof bowl. 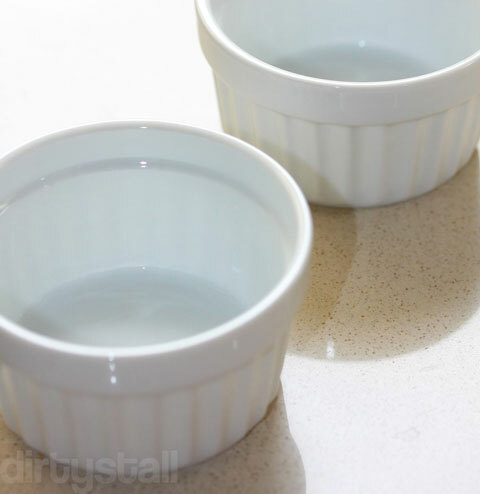 Fill up this bowl with boiling hot water up to about 2/3 of the ramekin’s height. This is to ensure evenness in cooking the sides. 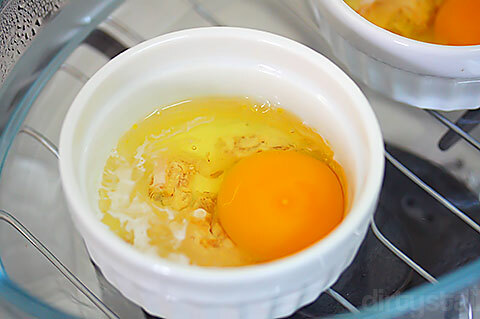 Bake the eggs for about 15 minutes at the same temperature. Ideally you’ll want the whites to set but the yolk to be a bit runny. 2 Responses to "Oeufs en cocotte"
Looks real yummy! 🙂 In fact, lurve all things with eggs! By any chance you know where I can get ramekins? Hehe thanks! 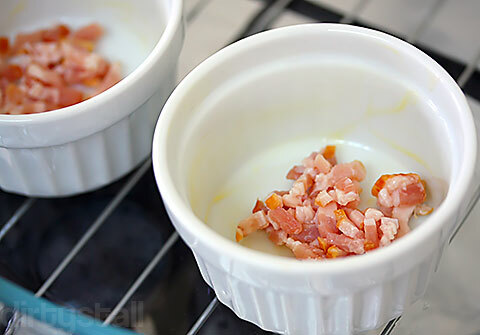 You can probably buy ramekins at any cookware section like Isetan, Tangs or Takashimaya. But I bought mine at Daiso for $2 each so you might wanna try there first.